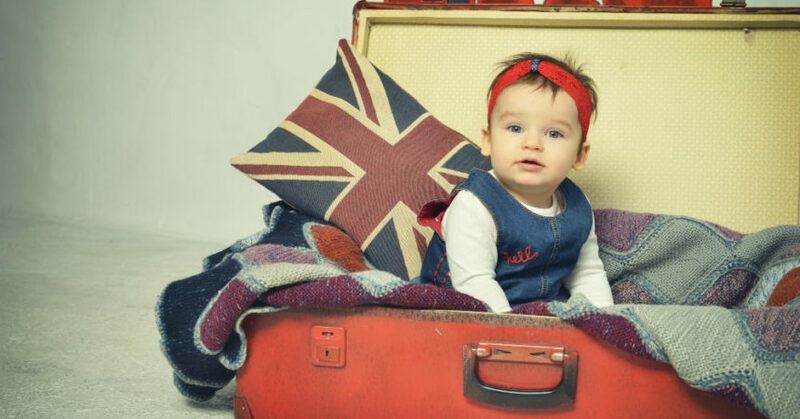 Adopting in the United Kingdom (which comprises England, Northern Ireland, Scotland, and Wales) is quite different from adopting in the United States. The three main differences relate to agency type, timeline, and cost. In the United States, private adoption agencies are prevalent (although you can also adopt through public agencies that are operated by the state). However, the use of private agencies is not even an option in the United Kingdom, where adoptions are always facilitated by either a local agency (click here to find the agency affiliated with your local council) or a voluntary adoption agency (an independent organization typically run by a charity). The Consortium of Voluntary Adoption Agencies (CVAA) defines a voluntary adoption agency (VAA) as “an organization that recruits, assesses, and approves families for children for whom adoption is the plan. They also work with local authorities to match, place and support children with prospective adopters.” VAAs are independent, nonprofit organizations that provide lifelong support to all members of the adoption triad, and they operate across regional and national boundaries (i.e., across the entire U.K.). VAAs specialize in placing children with special needs (known in the U.K. as priority children). There are 34 agencies in all, and they serve Scotland, Wales, Northern Ireland, the Isle of Man, and every region of England. If you’re at least 21, you can apply to adopt a child through one of the two types of agencies discussed above. You must be able to show proof that you can provide a permanent, stable, and caring home. You contact the agency, and they send you information. The agency arranges to meet you, and you may also be invited to meet with others who are also interested in forming their families through adoption. If you and the agency agree that you’d like to work together, they give you an application. In order to proceed, you as an adoptive parent or parents must be approved by the agency to which you apply—and all domestic adoptions go through the state. Approval takes about 6 months, at which time you are typically matched with a child. The Financial End of Adoption in the U.K. Although private adoption expenses for families in the U.S. can run anywhere from $20,000 to $40,000, this is not the case for adoptions in the U.K. (remember, there are no private agencies in the U.K.). Similar to domestic adoptions in the U.S. (which also go through the state and cost very little), U.K. adoptions cost nearly nothing. It’s mainly just a small court fee for the adoption application. The Procedural End of Adoption in the U.K. But, the procedural process (or, as we adoptive parents refer to it, the “paperwork”) in the U.K. is similar in complexity (and quantity of papers/forms) to that in the U.S. Over a 6-month period, there are plenty of procedures to go through and paperwork to submit such as orientations, applications, background checks, references, trainings, home studies, and assessments before you as parents are matched with a child. For a comprehensive explanation of the adoption process in the U.K., and a brief description of each phase in the process, see the CVAA’s “Thinking About Adoption” web page. This is a relatively new concept that the U.K. is just beginning to embrace. What we in the U.S. refer to as “foster-to-adopt” or “fostering for adoption” is known as “dual approval” or “early permanence” in the U.K. This type of adoption is still very much in development. Only a few agencies even offer this option to their applicant families. First4Adoption, an impartial, nonpartisan national information service for people interested in adopting a child in England, defines early permanence as a situation in which “children may be placed in their home at the earliest opportunity by being placed with adopters who are also approved as foster carers, who initially foster the child and may become their adopters once the court proceedings have been concluded.” If dual approval (early permanence) is not present, then a family who is seeking to adopt a child they’ve been fostering needs to be reassessed and reapproved before petitioning the courts in the U.K. to adopt that child.